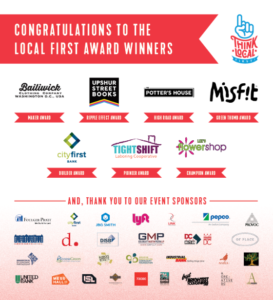 On Thursday, November 9, a few hundred business leaders, start-up entrepreneurs, and residents from the DC area gathered to celebrate the inaugural Think Local First awards at Blind Whino in Southwest, DC. The event included a showcase of local makers offering samples of food and beverages produced in the District, as well as a small vendor market of handcrafted, locally produced, and creative goods like cards, jewelry, and beauty products. See here for photos from the event, shared by BYT. 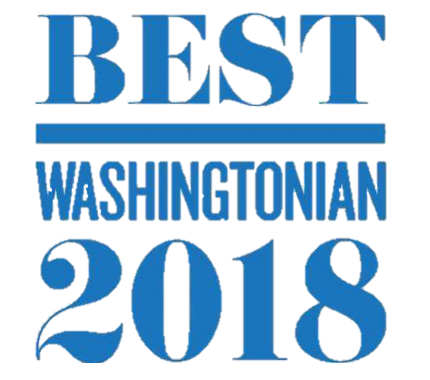 The Menkiti Group is proud to have been named a Finalist in the local Builder category, presented to a local community developer, investor, or lender with deep roots in the community and known for positive investments in DC’s people, culture, and future. While we didn’t take home the award, we are proud to have been recognized and congratulate City First Bank for their work in the community. They are a model of a local business that is doing good work to support housing and sound development efforts in the city. FOX 5 News anchor Tisha Lewis served as the host emcee for the evening. Flash talks on the importance of supporting local entrepreneurs and artists were delivered by Gina Schaefer, co-founder, and owner of 12 local ACE Hardware Stores, as well as Andy Shallal, artist, social entrepreneur and founder of Busboys and Poets. Gina Schaefer delivered an inspirational flash talk, sharing a story of her journey as an entrepreneur and the challenges faced, hard fought, and won. Andy Shallal’s remarks focused intently on diversity being the local business community’s biggest strength. Shallal expressed that in business “despite the ups and downs, we keep doing this entrepreneurship thing to make a difference. The ceremony continued with the announcement of the award winners in 7 categories. Think Local First DC Board Members presented awards created by local design firm, Trey Jones Studio. 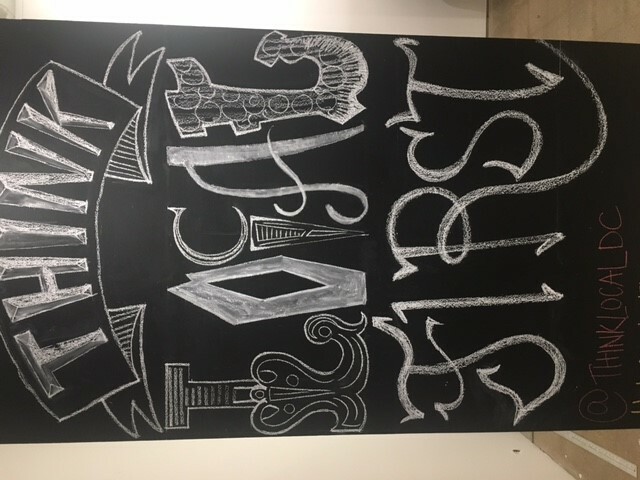 Following the award ceremony, attendees spread throughout the venue to enjoy the after party celebration featuring a Shop Made In DC Marketplace, music provided by DJ 2-Tone Jones, and an interactive avant-garde chalk art installation by local artist Jesse White. 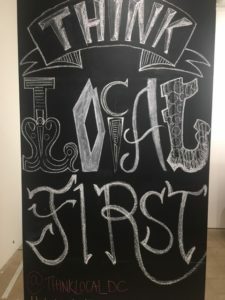 Learn more about Think Local First and consider joining if you’re a small business owner or entrepreneur that can benefit from a valuable network of leaders and resources!